Establishing a new pasture doesn’t stop at sowing. Management during the first 12 months is critical. Good management gets the best out of a new pasture and will help it persist. A pasture should not be considered successfully established until there is a dense, well tillered pasture that has survived a summer. Pasture management through this time has a major impact on its future performance. Pastures grow slowly until they are nipped off, which accelerates both their growth rate and tillering. 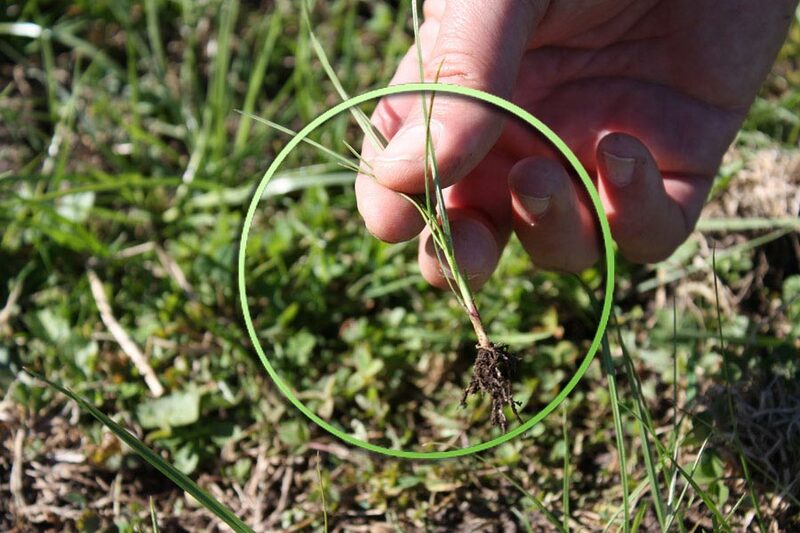 Before a new pasture is ready for its first grazing it needs to pass the 'pluck test' to see if plants are firmly rooted, so animals won’t pull them out of the ground. This is shown in the pictures below. 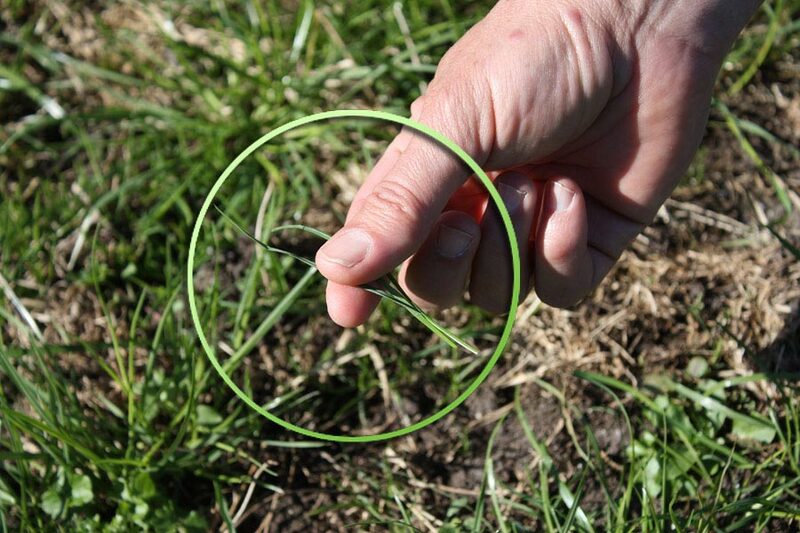 The first grazing is about removing the tips of plants to encourage their growth, NOT about feeding animals. Graze in dry conditions to avoid soil and plant damage. Let stock graze the top 3-4 cm off plants; do not bare the pasture out. Graze with lighter young stock if possible. Cows can be used, but take care as they may only need an hour or two in the paddock (depending on numbers). In good conditions the first grazing can be 6-8 weeks after sowing a perennial ryegrass (typically 1-2 weeks sooner for an annual, Italian or hybrid). Dry or cold conditions can prolong this. Apply fertiliser as required. New pasture responds well to nitrogen, and over the first 6 months, generally two small applications are used (e.g. 25-30 kg N/ha) when conditions allow (not water logged and soil temperature greater than 7°C). Having large, strong, well-tillered grass plants and clovers prior to summer will help ensure survival. Graze for the first time when new seedlings cannot be pulled out by hand plucking, usually 6-8 weeks after sowing. Graze consistently to the same residual through the first winter and spring, leaving a 4-5 cm residual. This encourages growth and tillering of new ryegrass and helps avoid shading and suppression of white clover seedlings (as well as maintaining pasture quality). Graze consistently at the same pre-grazing mass, for example when pasture height reaches 10-15 cm. Letting a pasture get too long reduces its density, particularly in late spring. Do not make hay or heavy crops of silage from new pastures in the first year as this damages plants (reduces tillering and root growth). Apply fertiliser as required. New pasture responds well to nitrogen, and over the first 6 months, generally two small applications are used (e.g. 25-30 kg N/ha) when conditions allow (not water logged and soil temperature >7°C). In wet summers (or under irrigation) continue grazing as above. In dry summers care is needed to avoid over-grazing and damaging all pasture, but particularly new pastures. Avoid overgrazing. Plant reserves necessary for survival and regrowth are stored above the ground in grasses, in the bottom 3-4 cm of pasture stubble. Employ tactics in your farm system to avoid overgrazing such as: on-off grazing; stand-off areas; sacrifice paddocks; feeding supplements; summer crops and OAD milking. 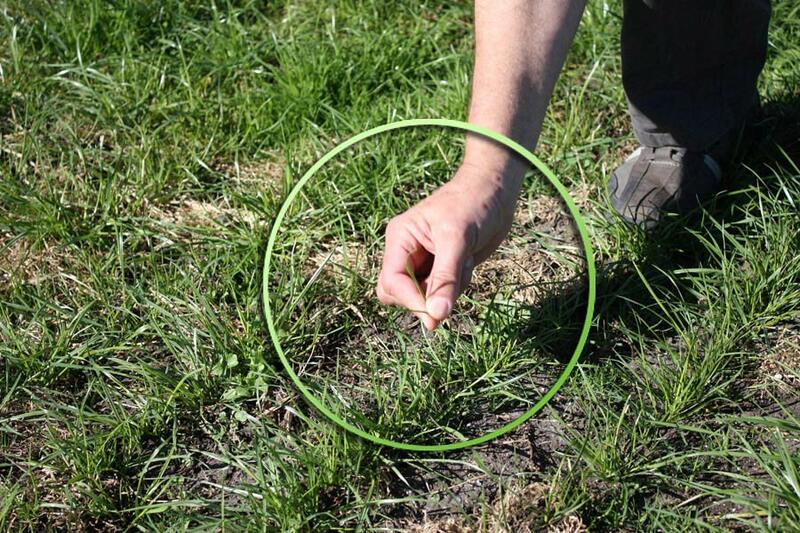 Ensure the successful establishment of your new pasture with this advice on preparation and sowing.